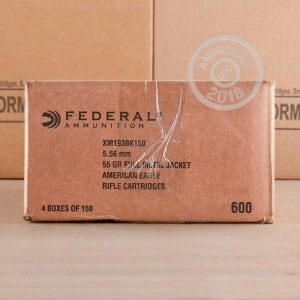 AR-15 owners will appreciate the quality target practice provided by this mil-spec ammunition from Federal. These cartridges are loaded in Independence, Missouri at the Lake City Army Ammunition Plant and sold as excess production after the fulfillment of military purchases. 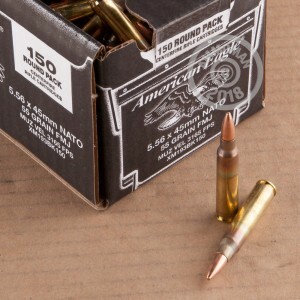 Lake City ammo is highly sought after due to its military origin and dependable quality. 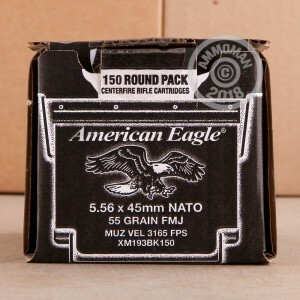 Each round in this box of 150 fires a 55 grain full metal jacket bullet at a muzzle velocity of 3,240 feet per second. This ammo follows the M193 ball specification and can be used alongside other 5.56 NATO loads designated M193 or XM193. Place an order for $99 or more at AmmoMan.com to receive complimentary shipping and handling!